With toilet bag XL, the company reisenthel presents the "big brother" of the popular toilet bag. 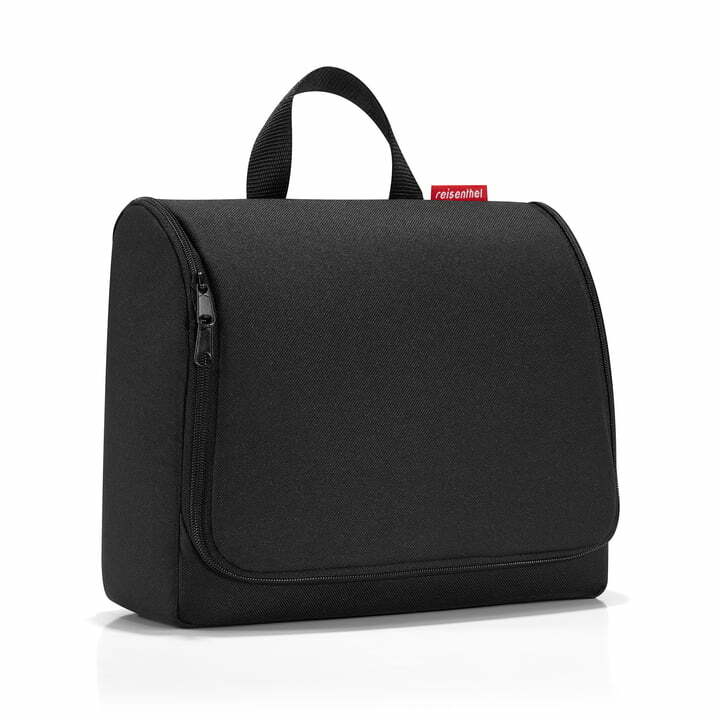 The big XL version offers the same advantages as the smaller one, including a lot of comfort on longer trips. 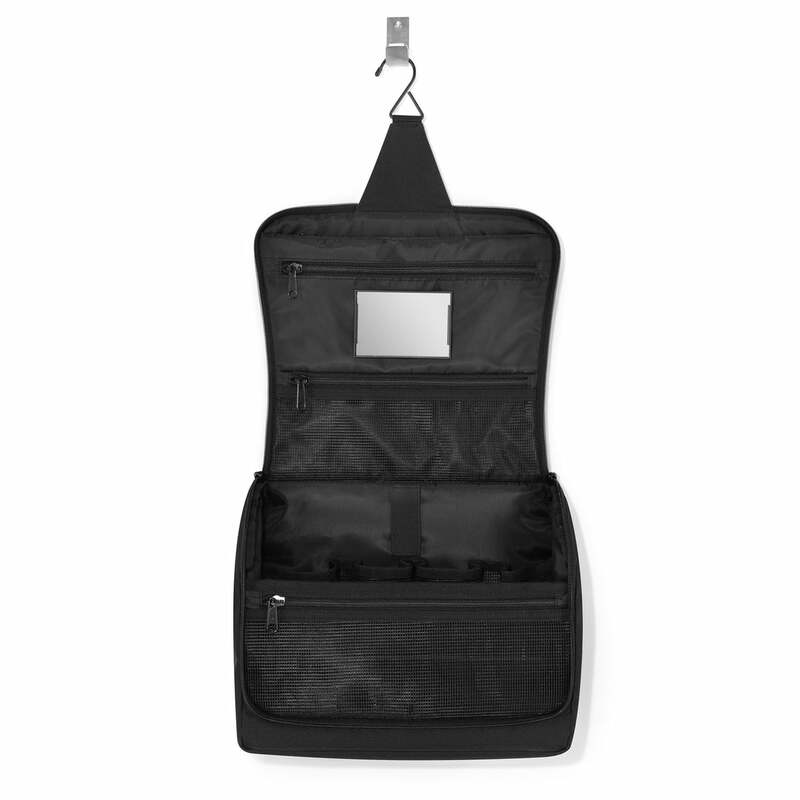 The bag has a volume of 6 l with a spacious main compartment made out of airy mesh with four additional slit pockets. The additional mesh compartment with zip-closure on the front side as well as the three zip-closure pockets in the cover offers safe, closable space for all kinds of small things. 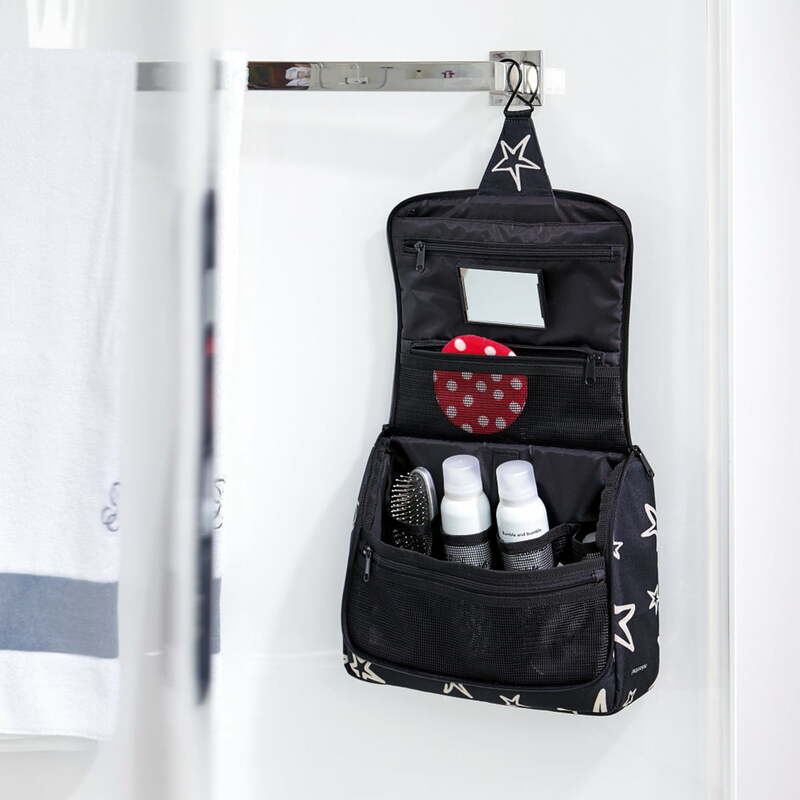 For toiletries or make-up, the toilet bag XL is useful even for those with the highest demands. With its practical hook, the robust tearproof polyester made toilet bag XL by reisenthel can be hung anywhere it is needed. The Velcro-equipped mirror can be attached to the inside or removed as desired. With its practical hook, the robust tearproof polyester made toilet bag XL by reisenthel can be hung anywhere it is needed. The Velcro-equipped mirror can be attached to the inside or removed as desired.